So here we go again! 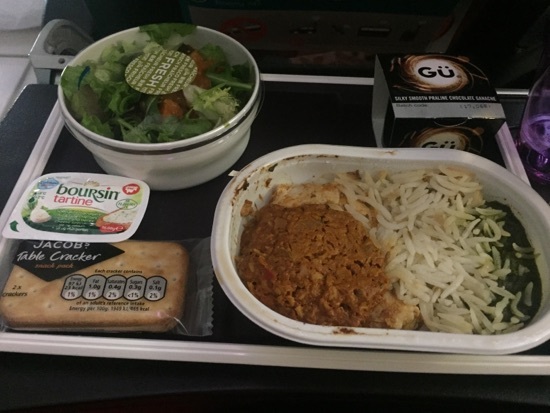 Last June/July i attempted my first live food report (Ok let's try this) and have loved reading back over it since coming home, so I've decided to give it another go this time. There's me (31), DH (32) and DD (3) and this is our 10th trip to Florida (DDs 4th). 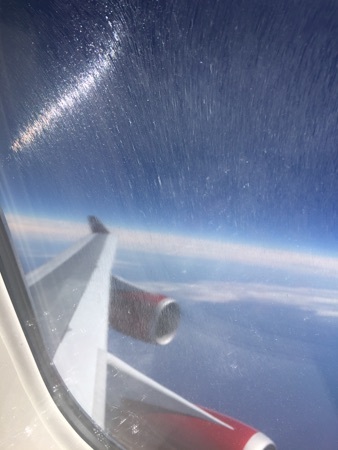 We're travelling upto Glasgow after work today and staying at the Travelodge near the airport tonight before our virgin flight at 12.05 tomorrow. 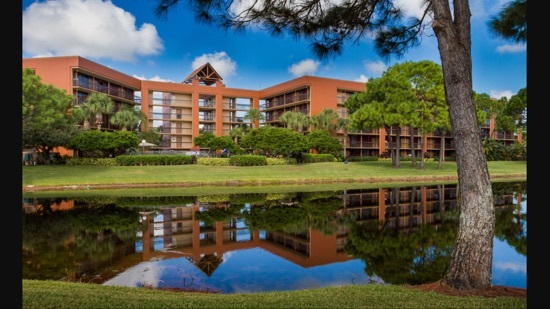 We're staying at the Clarion Inn lake Buena vista for 2 weeks but booked a couple of nights the the Polynesian village resort using our DVC points. We've bought the deluxe dining plan for our stay there so our meals and going to be a mixture of onsite and offsite restaurants. We set off from not so sunny Cumbria and made the 2 hour journey upto Glasgow airport. I ordered us a dominos pizza from paisley which we picked up on the way to Travelodge. 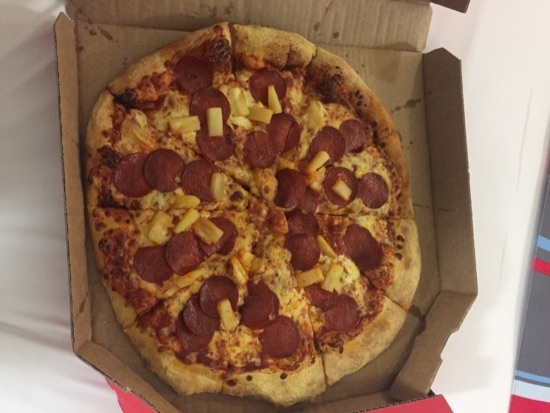 I got a large pepperoni and pineapple pizza to share with DD. 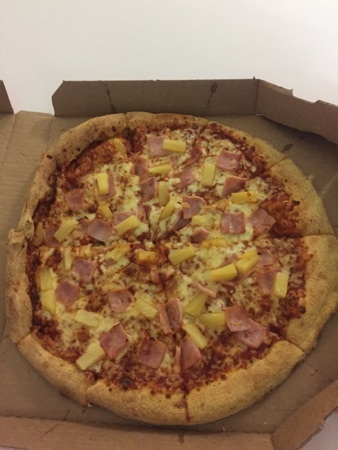 DH had a large ham and pineapple pizza. These were £7.99 each and were just what we needed after our drive up here. Now sat enjoying a chilled bottle of Pinot Grigio between DH and I. 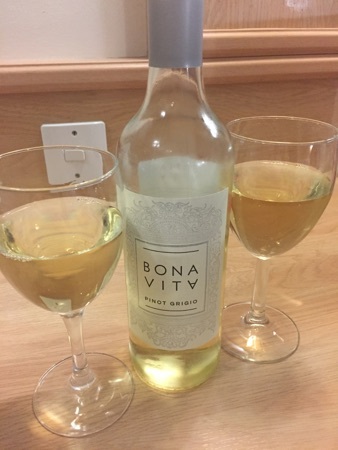 This was £15.30 from the bar in Travelodge and isn't too bad. Going to have an early night ready for travel day tomorrow. Woke up at 6.30am this morning, did a last minute shuffle of the cases and arrived at the airport at 8.30am. Bag drop and. 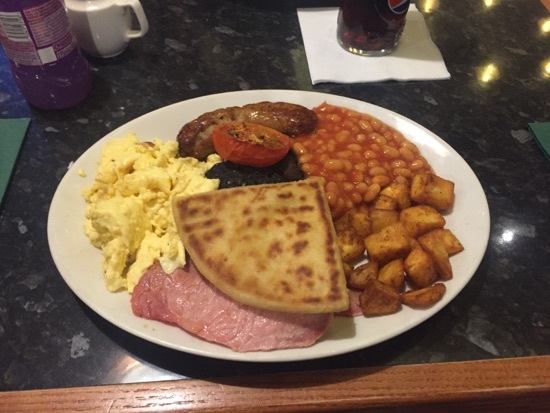 Security were very quick and we were sat in Frankie and Bennies ordering breakfast just after 9am. 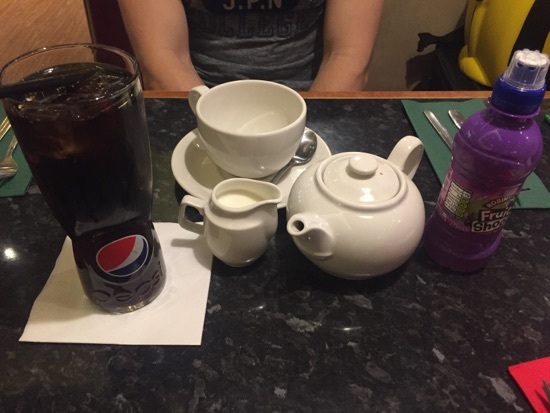 DH ordered a pot of tea, tea in Orlando just doesn't taste right, so this was his 'last decent cup of tea' for 2 weeks . I ordered a Diet Coke and DD had a fruitshoot. DH had the full breakfast. He really enjoyed this except for the black pudding which he said tasted abit odd. 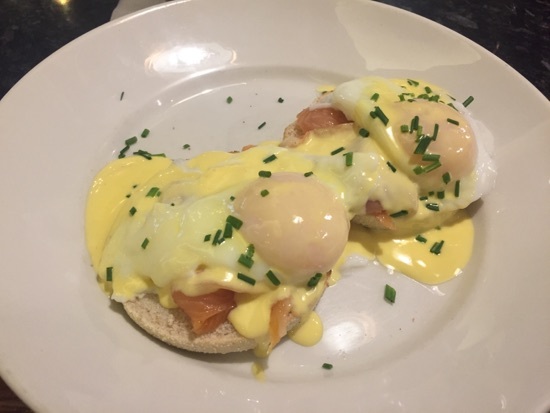 I had the eggs benedict royale, this was 2 poached eggs with hollandaise sauce on top of an English muffin and smoked salmon, it was delicious! The eggs were cooked perfectly and there was loads of smoked salmon. 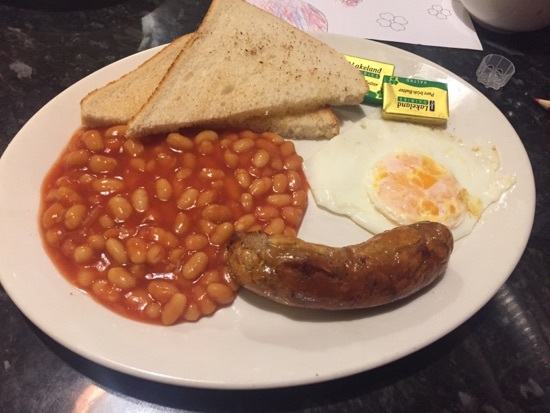 DD had the kids breakfast, you could choose 4 regular breakfast items for £4.99. She has beans, toast, fried egg and sausage. She enjoyed this except the sausage which she said was too spicy. 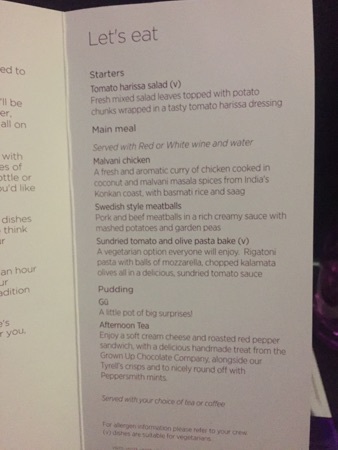 This came to £26 with the drinks which we thought was great value for the quality and quantity of food. Our gate was announced at 11.05 and we made our way to gate 33 where barbarella was waiting for us. We had reserved seats in the bubble, 79 A, B and C... Dibbers row! These were great as we could recline guilt free. 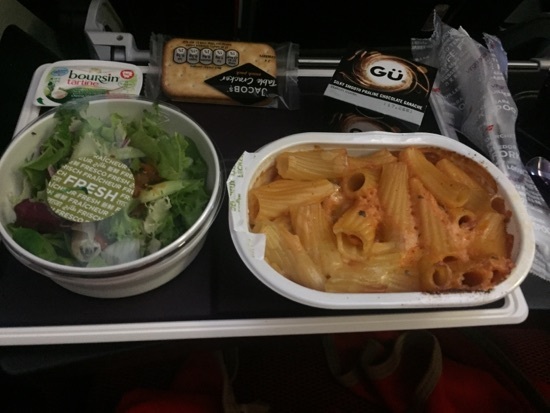 We took off about 20 minutes late and about an hour into the flight we were served lunch. I had the Malvani chicken curry. The salad was fine, the chicken curry came with rice and saag. The curry was on the hot side and with nothing to cool your mouth down it wasn't particularly pleasant, I didn't eat much of it. The crackers and bousin spread were lovely. Pudding was a chocolate praline gu pot and was delicious! DH had the pork and beef meatballs served with mashed potato, he thought this was abit 'meh', I guess that means he wasn't too impressed. 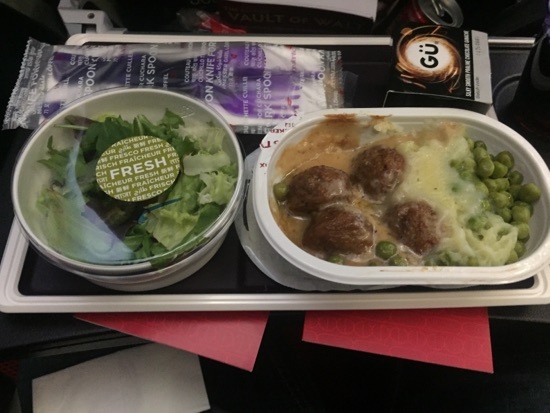 We figured later we probably would have been better off swapping our meals. DD had the tomato and mozzarella pasta, she seemed to enjoy this. Both me and DH tried it and preferred it to our choices so we both had abit of food envy! 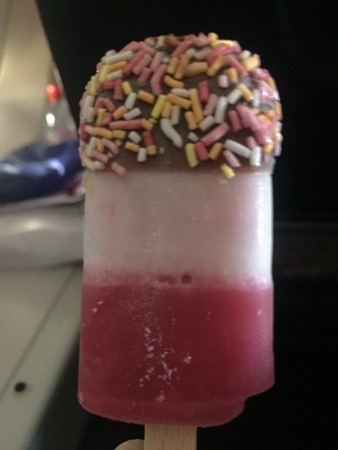 About halfway through the flight they came round with a mini fab ice lolly. An hour and a half before we were due to land we were served afternoon tea. 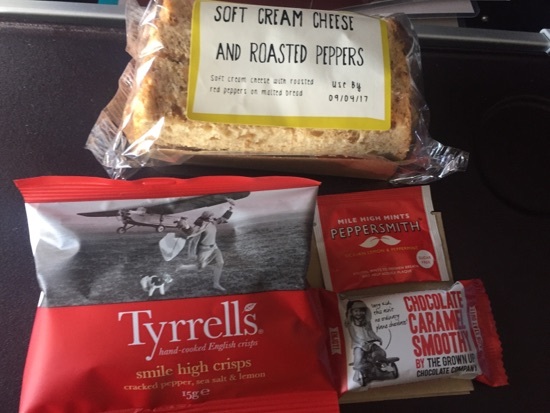 This was a cream cheese and red pepper sandwich, salt and pepper and lemon crisps and a chocolate caramel chocolate bar. The sandwich was nice but the crisps and chocolate bar were really good! This was served with a choice of tea or coffee. 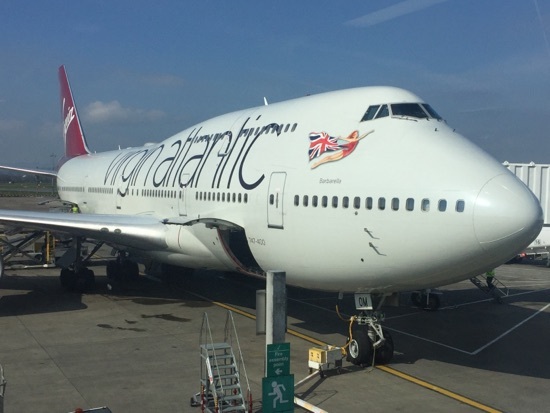 We landed about 25 minutes late and were directed to the self service machines when we disembarked. This only took about 10 minutes including our wait for a machine and then we were through to wait for an immigration officer to finish the process, we had about a 5 minute wait with only 2 families in front of us in our queue. The down side to being through immigration so quick is the wait for your bags. These took about 25 mins.we made our way out to the Alamo garage and picked ourselves a midsize SUV and were soon on our way to the Clarion. After a quick unpack we headed to Disney springs for a bite to eat. There was only one place we were interested in... The Earl of sandwich! This is a favourite of ours! 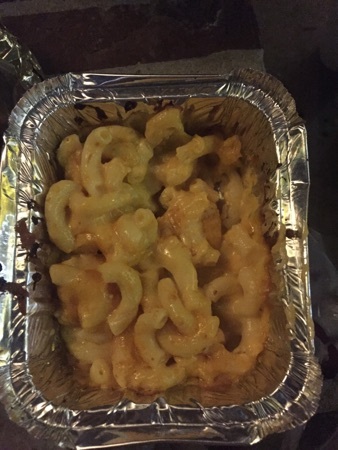 DD had a side order of Mac cheese, this was $4.99 and was really good! DH helped her finish it off! DH and I got our usual sandwich each, the holiday Turkey. These were $6.99 each but are absolutely amazing! 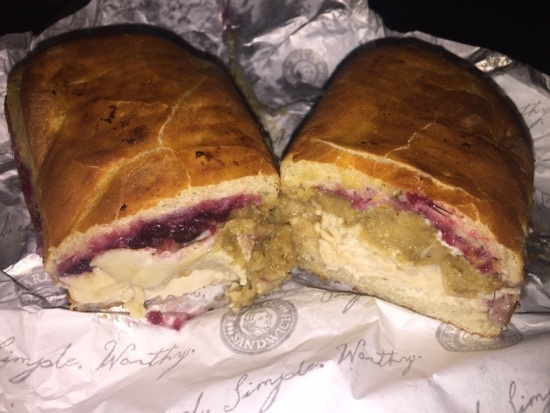 The cranberry and cornbread stuffing just make this sandwich! We got a fountain drink to share too. Earl of sandwich does DVC discount so this came to a total of $21 for the 3 of us. Have a fantastic holiday! I'll be following. Have a fab time, looking forward to following along. Will be following have a great time.